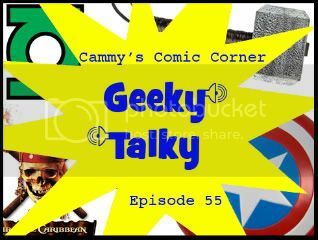 In this episode, I’m joined once again by Nic Fury to discuss the upcoming geeky movies of 2011. Well, they’re not all geeky, but the ones that strike our fancy. This entry was posted in Cammy's Comic Corner and tagged Captain America, cowboys and aliens, green lantern, Harry Potter, rango, thor, Transformers by Cameron. Bookmark the permalink.